It was with great sadness we heard that our dear friend Albert Young passed away peacefully in hospital on New Year's Eve 2017. 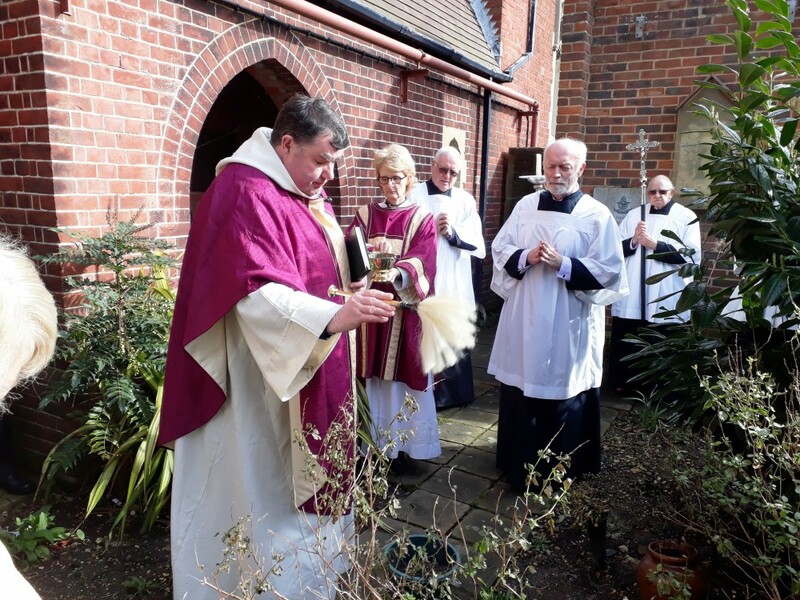 Albert Young's cremated ashes were interred by Fr Bob White in the Memorial Garden at the Church of the Holy Spirit in a short ceremony with family and friends after 10am Parish Mass on Sunday 4th March 2018. God bless him. A devotional image of St Joseph purchased and inscribed in memory of Albert Young RIP 1920-2017 was unveiled and blessed at our Parish Mass on the Feast of the Epiphany, Sunday 6th January 2019. God bless him.